If you love chocolate and mint and donuts then you'll love these donuts. These chocolatey donuts are topped with a delicious chocolate mint glaze. Best part? These donuts only take about 5 minutes to make. Combine all dry ingredients then mix in wet. Mix well until a dough forms. 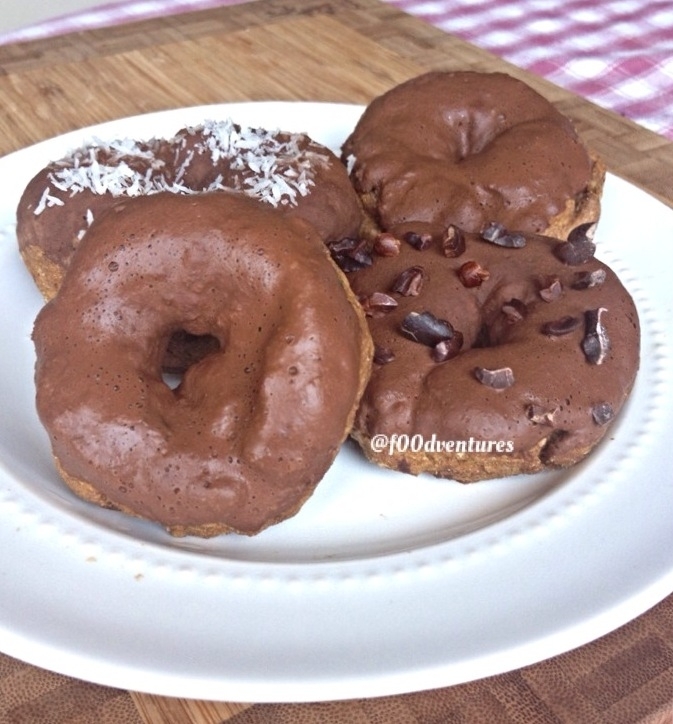 Pinch off pieces of dough and form into donut shapes. Arrange on a large plate and microwave 2-3 minutes until fully cooked. Set aside to let cool. Pour baking cocoa, water, and muscle egg into a small bowl to make the glaze. Mix well until mixture smooth. Dip tops of donuts in glaze and top with desired toppings. Enjoy!